Many times the most time-consuming part of the painting, lacquering or coating process is the tape masking and de-masking process steps. Cutting the tape to size, trimming it and then forming the tape to the shape takes lots of time. De-masking the tape from the component also takes lots of time. This is especially the case if the same custom masking tape for painting cutouts are required again and again-like for a repeating pattern or for many of the same type of objects. So instead of spending a lot of time cutting out the shapes for masking, let BEST Inc. laser cut sheets of blue painters tape shapes for you that will allow you to more quickly and consistently go through your conformal coating process. The cuts are done via a laser and will be within 0.1 thousands of an inch precision meaning that the coating areas will be consistent and well-defined. The BEST Inc. laser cutting service for conformal coating allows you to BOTH reduce the time it takes to mask as well as helping to insure a greater quality conformal coating process with less rework. 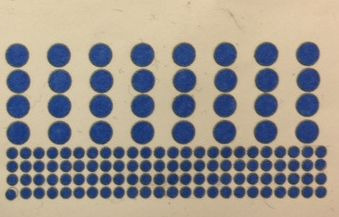 Instead of your conformal coating prep technicians having to cut each of the shapes and forming them, BEST will deliver to you custom, laser-cut conformal coating shapes on a sheet. Conformal coating technicians will then simply remove the shapes from the sheet. This will save cutting time. Also, shapes will be consistent, unlike hand trimmed ones, thereby producing consistent conformal coating areas. The time-savings alone will be money well spent not to mention the reduction in conformal coating “touch up”. A. You send us the engineering files. We can take the 2D files in many CAD formats (like .dxf and .dwg). We will then layout the shapes either where the SAME SHAPE is repeated as many times as possible on the working surface of the tape sheet –or- enough cut out shapes for one assembly/ project. In this second approach, you can see when all of the shapes have been pulled off the backing. This ensures a consistent quality of painting or coating. B. You send us the dimensions and we take the time to turn them into engineering drawings which will allow the sheets to be cut. After we have received your information we will generate a check plot for your approval of dimensions. TapeShapes™ will then be delivered within 24 hours. The shapes will be cut from 3M Type 2090 blue painters tape. The complete specification for the laser cut tape shapes can be found here. Size photos up by 100%. Type 401 is a 3M product.